While looking over the free agency “pool” my mind kept drifting off to warm Minnesota afternoons on the boat. Fun fact, I really love to fish. In 2017, your free agency boat, the S.S. Salary Cap, is pretty big. The Bears can either fill the Livewell with a lot of small fish, or a handful of big trophy fish. Depending what Captain Pace, the man leading us into the free agent pool, does with ex-Captain Angelo’s prized fish, Jay Cutler, the boat could become larger. Before we dive into the list of free agents who I think the Bears should target this offseason, we need to take a look at how much spending money Pace has at his disposal. At the moment, he currently has $62.5 million dollars. However, if the Bears cut Cutler, they will save an additional $14 million. This leaves the team with a grand total of $76.5 million. But, if they cut Cutler, the team will have no quarterbacks on the roster as Brian Hoyer, Matt Barkley and David Fales contracts all expire this offseason. 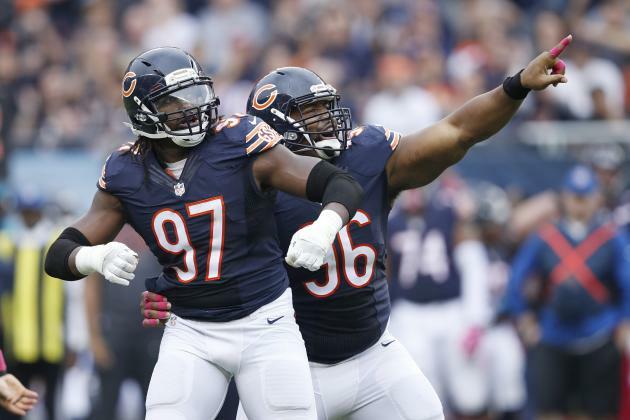 Other free agents that the Bears will need to closely evaluate are Alshon Jeffery, Bryce Callahan, C.J. Wilson, Connor Barth, Josh Bellamy, Sam Acho, Deonte Thompson, Marquess Wilson and Ted Larsen. Grab Your Snorkels, Let’s Dive Into the Free Agency Pool! Otherwise known as the place where the innocent fish live and that the sharks feed on. I think the NFL sharks will nab some of the guys I didn’t mention like Christian Jones, Connor Shaw and Daniel Brown. However, I think the Bears can save Callahan, Barth, Acho and Larsen from the sharks, without giving up too much room on the boat. Larsen was the only one of those four to make over a million, and I’m sure Callahan will likely get a pay raise, but none of those guys above will take up very much room on the S.S. Salary Cap. If we’re going to assume that Cutler gets released back to the waters, Chicago is out of quarterbacks. The Bears should reel in Hoyer and Barkley. Then that leaves a spot or two on the boat for guys in the draft. Then comes the big trophy fish that the fans want to know about, Jeffery. Does Captain Pace want to use a crappie minnow on him due to his lack of performance (although not entirely his fault) or does Pace throw him a fathead minnow? The thing about trophy fish is that they don’t always taste the best. When it comes to eating trophy fish, you don’t want the soft mushy meat that comes on those (i.e. off the field distractions, putting themselves above the team). While tolerable once in awhile, it’s not always the best for a meal. I’ve got an odd feeling that the NFL sharks end up with Jeffery. He has expressed a couple times that he will let his agent work out a contract, and after two subpar years of production in Chicago, I see Pace throwing him the crappie minnow and Jeffery not biting. Now we get to see what other teams have out there. I’ve highlighted three guys. Some of these might be tough to reel in, but not too far out of reach. He’ll be 32 going into the 2017 season, but here’s a guy that has only missed nine games in his nine-year career. He finished the 2016 campaign with 54 receptions (second highest in his career) for 752 yards and four touchdowns. His contract in Carolina was for two years and $4.2 million (base salary of $1.4 million for 2016). If the Bears offered him $5 million (base salary of $2.5 million in 2017) for two or three years I think he would take it. After having the second best season of his career, here’s an under the radar free agent with a Pro Football Focus grade of 72.5. The Bears secondary this season was not great. They were mostly banged up, which meant we saw a lot of young guys getting some valuable playing time. Butler had a PFF grade of 82.6 in the 2016 season. That is 9.2 points better than our leading cornerback, Cre’Von LeBlanc. With management question marks in the Colts’ organization, the 31-year-old may want to find his way out of Indianapolis and start fresh in 2017. He was offered $5 million ($1.5 million base salary) over two years in Indianapolis, with his performance last year (33 total tackles, a forced fumble and three interceptions) the Bears could put more on the table, offering him $2 million or so in 2017, plus for an additional three years and still be in good shape. Here’s your trophy fish Bears fans! This guy has been a stud safety in the league for the last nine years and finished second in PFF grades among safeties in 2016. He had four interceptions, a forced fumble and 77 total tackles. Kansas City signed him to a one-year, $10.8 million dollar contract last season. Frankly, the Bears are going to have to offer him about that per year if they want to lock him up for the next four or five years (he’s 28 years old). He has played in all 16 games every season, except for two, throughout his career. What a day of fishing! If the Bears sign all the guys mentioned in this post and release Cutler, there would roughly be $51.4 million left in the bank. You may not agree with these three highlighted players, but that’s okay. Keep a lookout for a follow-up post that will focus solely on potential free agents from other teams. 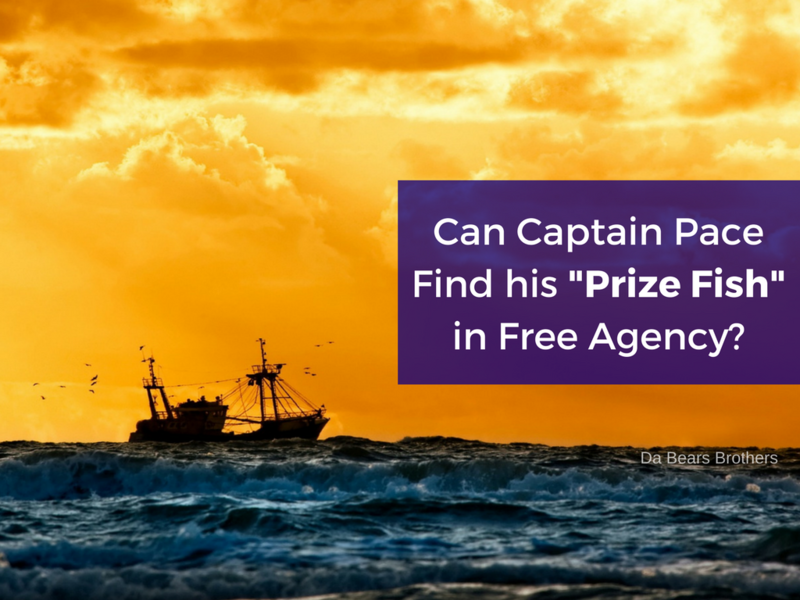 If you have your own “prize fish” you want Captain Pace to reel in, comment below! This would be a great FA haul – probably. Teams are always rolling the dice with 4-yr contracts on guys pushing 30. Still, beefs up 3 positions of need.